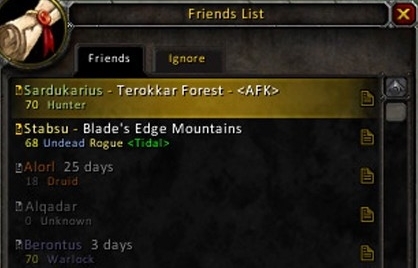 Expanded Friends List Addon. Let’s you sync Friends Lists between your Characters and set Friend Notes that appear in Tooltips. Also retains more information about Friends when they are Offline such as last known Location Level and Class.